At Om Spa a one hour massage lasts a full 60 minutes, not 50 minutes as in most other spas. We also schedule plenty of time between appointments, allowing your therapist time to listen to your needs to ensure a fully relaxed and customized experience. A great choice for massage new comers or anyone seeking relaxation. This aromatherapy massage relaxes and tones deep muscle tissues and focuses on circulation, relaxation and spiritual health. Aromatic essential oils revive and energize both the body and mind. This massage technique focuses on working with the deep muscle layers to increase circulation and lymph flows to tense muscles. It releases patterns of chronic tension in the body by applying deep pressure and hot stones to melt stress. This treatment, combining a relaxing massage and the heat of Lava Stones warmed stones , is extremely effective due to the thermal and energy conductive properties of these special stones. The therapeutic heat decreases pain and muscle spasm, softens the tissues and raises the body temperature. The combination of the heat from the stones and the application of essential oils produces a penetrating state of relaxation, well-being, and freedom from pain. Not recommended for women who are pregnant. Share the relaxation of a massage with someone special. Great for a romantic visit or enjoy with a friend or family member. Select from any of our massage treatments. 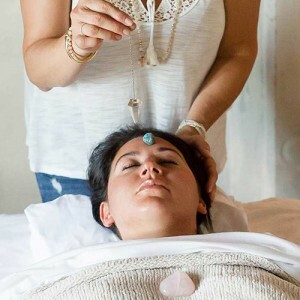 This method involves gentle stimulation of acupressure points in the feet and hands that have a direct connection to the various organs and glands in the body. It is based on the Chinese meridian theory of “energy pathways” in the body that have endings in the feet and hands. Energizing these points can have an overall balancing effect on the body. This wonderful and relaxing massage is a great way to pamper our expecting mothers. Special pre-natal techniques can help the effects of pregnancy by focusing on the lower back and legs. Uses omega oils to help your beautiful skin handle the bun in your oven. *Check with your doctor, not recommended during the first trimester. This unique post-natal massage helps new moms adjust to the physical and emotional demands of caring for a new baby. This hydrating (and addicting!) massage helps bring back that pre-baby goddess figure through omega and avocado oils. This full body massage involves a combination of stretching and deep tissue Swedish massage. This massage increases flexibility, circulation, energy, and range of motion. It also reduces stress and results in total body relaxation. 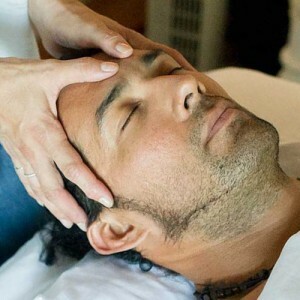 Cranio Sacral therapy is used to detect & correct imbalances in the craniosacral system, which consists of the membranes & cerebrospinal fluid that surrounds & protects the brain & spinal cord. Successfully used to treat headaches, neck & back pain, TMJ, chronic fatigue, and central nervous system disorders.